Exclusively for senior fundraiser professionals. Headline keynote addresses: adapting to the new fundraising landscape. High-profile keynote speakers will explore the new challenges around fundraising. -update on the new regulations and how fundraisers are expected to comply. -What do fundraisers really need to know in 2016. -New challenges and opportunities. -What does the future of fundraising look like. Explore how you can expand from small to big, and regional to national. What is the right pace, the journey to get there? Find out about the internal aspects to take into consideration such as team structure, as well as what type of business plan you need to develop. This panel will bring you a wide range of perspectives from diverse sizes of trusts and foundations: a unique opportunity to ask them all what you want to know! What are the reasl reasons behind donating? How do they like to be approached? A diverse range of partners and thought-leaders in the industry will deliver a series of exciting activities and opportunities such as: -Mentoring -Live auction -Products demonstration -Increased and facilitated networking opportunities -Hubs of expertise, innovation and knowledge-sharing -Drinks, Reception. Trustees Insight Panel: work effectively with your Trustees! This panel brings you different types of trustees, discover what works well and less well with them and the different ways to work and engage with them. How can you ensure your trustees are full advocates of your charities? How can they help you make relevant and valuable contact with high net worth individuals? How to compose a fundraising board and who are the people to invite? Learn how you can, as a fundraiser, or communications/PR professional, avert a media crisis in a time of bad press around fundraising. How can you overcome the negative impact of press stories on your actions and causes? This masterclass provide top tips in reputation management- a vital skill for charities professionals today. Networking opportunity: participate to our on-site activities, meet new people and discover new trends. The fundraising sector has come under a series of bad headlines recently: this panel debate will bring you top insights from journalists and discuss views of how the profession is being perceived by the media, and how this can be challenged. How can fundraiser professionals regain trust of the media, and more importantly, the public? Measure and capitalise your return on investment. How do charities capitalise on their ROIs? That is a question that is on all senior leaders' mind and agenda. This session will get you up to speed with what good ROI for fundraising is: from benchmaking statistics, to setting up standard ROIs across charities, to looking at numbers of staff versus fundraising goals- boost your measurement toolkit and show your value to your board and Chief Executive! This masterclass will provide you with all the tools that tips to write a successful trust application: what language should you use? What are the best techniques to present yourself and capture your reader's attention? What are the things you should really pay attention to and the pitfalls to avoid? Motivational headline talk: human behavior and influence-making. It's time to get inspired- this talk will stimulate your mind and instil your best ideas on how to influence. How are human-behavior and decision-making linked? What does it mean for fundraising professionals? Inpsiring journey: what does it take to become a leader in fundraising? This leader in fundraising will reveal how they made it to the top and what their journey was like. An inspiring session for anyone wishing to progress their position and career. What are the skills required? Challenge yourself! Do you have what it takes? The journey of a fundraiser: what transferable skills do you need? Develop your personal leadership skills and explore how failing can help you grow and become more successful. Lift the lid on some of the best examples of failure and discover how it has benefited the organisation and individuals behind it. Either the knowledge engineer or ACEVO + a recruitment sponsor + recruiting in the online space/how to write an ad. Cross-organisations working and effective collaboration is becoming more and more important in every organisation. When it comes to your fundraising strategy, you need to collaborate with various teams, such as corporate partnership, legacy, major donors, digital etc....How can you develop effective project management skills and work better, together? Brought to you by Third Sector, copy about both conference and awards. Blah blah blah holding copy blah. Blah blah blah holding copy blah. Blah blah blah holding copy blah. Blah blah blah holding copy blah. Blah blah blah holding copy blah. Blah blah blah holding copy blah. Blah blah blah holding copy blah. 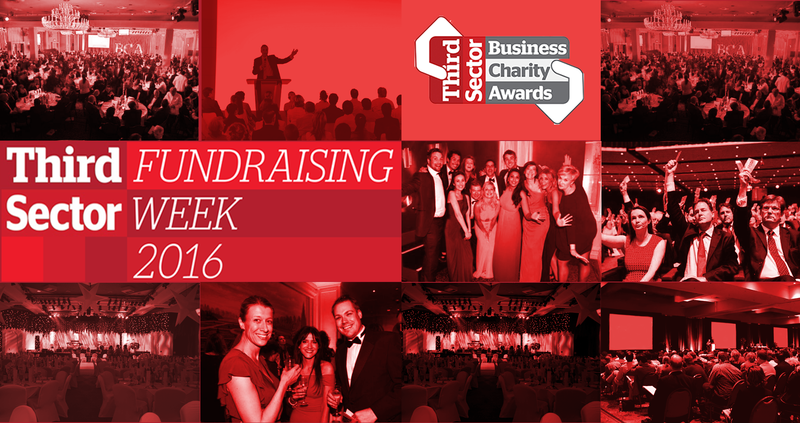 Brought to you by Third Sector, the first Fundraising Week took place on 13-17 April 2015. We are now preparing for 2016 event, to make it even bigger and better!